Some stories are truly timeless and seem to transcend generations. One such story is Mary Poppins. With her life lessons and cheerful disposition, it's no wonder she's so beloved - especially the part about how "a spoonful of sugar helps the medicine go down." 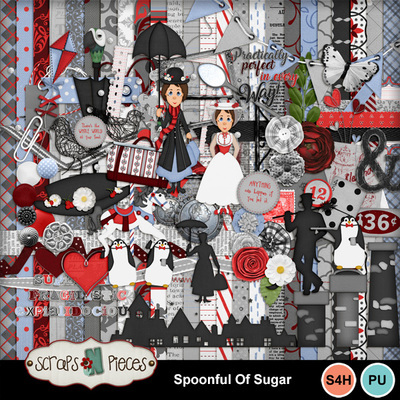 Spoonful of Sugar is inspired by everyone's favorite magical nanny and adds a timeless joy to your scrapbook pages. 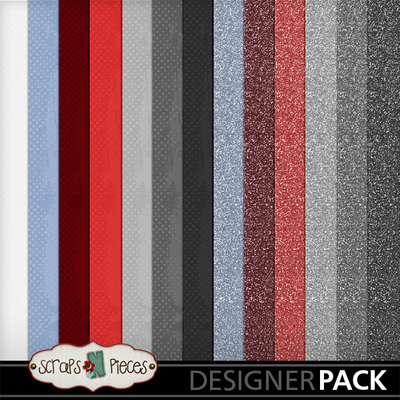 This kit's lovely color palette draws upon the red and white of her outfit and injects some crimson, black, and pale blue to complement completely. 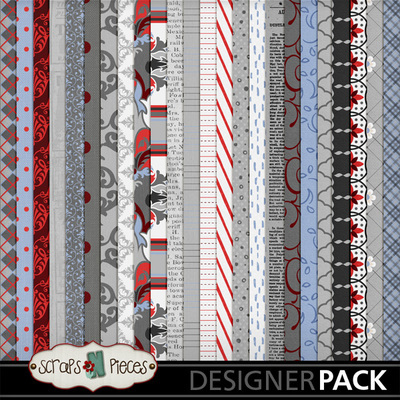 A mixture of bold and cute patterns papers will have you happy enough to dance across the rooftops, while glittery papers add that extra dose of whimsy to your scrapping. 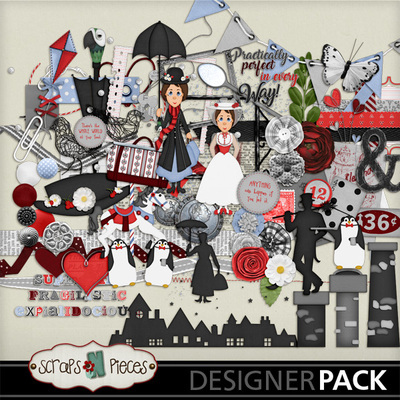 Featured elements include Mary Poppins herself, both with and without her magical umbrella, Bert the chimney sweep, penguins in tuxedos, a carousel horse, a spoonful of sugar, and several pieces of word art with Mary's most popular quotes. There are also plenty of bobs and bits - including buttons, flowers, ribbons, ephemera and a typewriter key alpha - to complement perfectly. 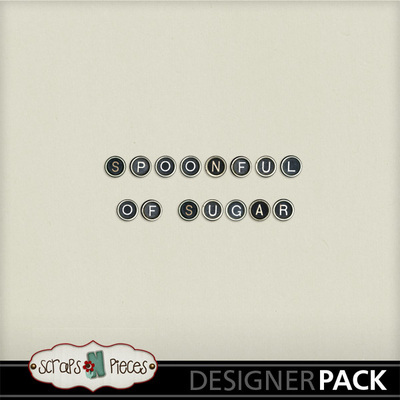 Whether you're a Mary Poppins fan or simply looking for a timeless kit to scrap with, you can't go wrong with a Spoonful of Sugar.